It’s coming up soon! ZNE’s ConvenZioNE has opened up it’s class registration. I am very excited to be going and I even get to teach a little make and take, how fun is that? 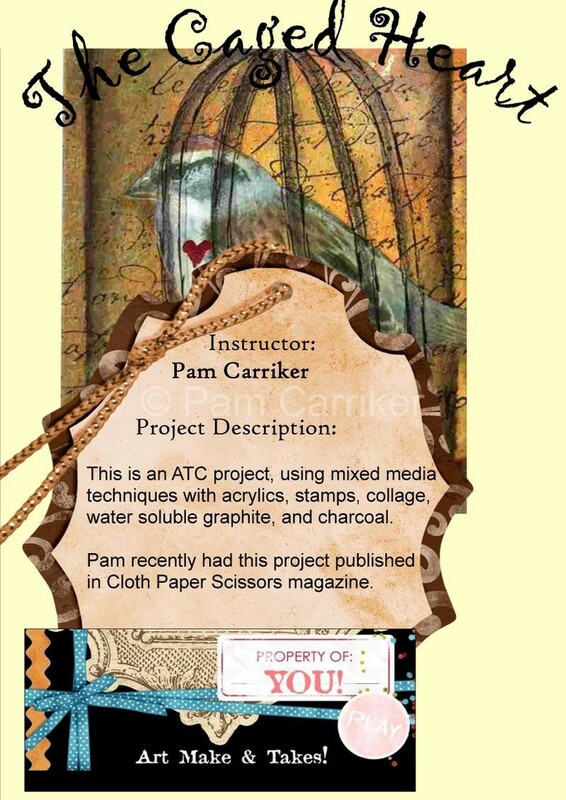 I will be sharing my little ‘Caged Heart’ ATC that was published in Cloth, Paper, Scissors last year. I have signed up to take classes from Chrysti Hydeck, and Brandie Butcher-Isley. To see all of the available classes click on the title to this post. wish I could come. congrats on having a class. it looks like fun. I bet you will have a blast in the classes you take. Brandie is a friend and you will LOVE her. Ahhh, that I could be there with you…taking a class together and chatting over coffee in between would be the BEST ! !I put a promo for your classes at CW on my blog…I can see you are back by popular demand to teach the Journaling class again….woo hoo !!! You go, girl!